Last summer I posted a group of tomato recipes (check them here and here) once tomato season was here. This year, I continue. I really can’t get enough of the tomato. In the winter we have various forms of tomato in our home; tomato sauce, paste and sun-dried tomatoes, but in the summer it’s all fresh. We basically eat tomatoes almost at every meal, and try to use them everywhere. 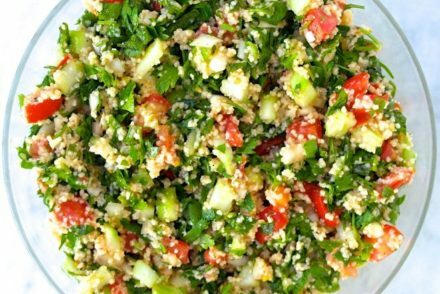 This recipe is simple but so delicious. 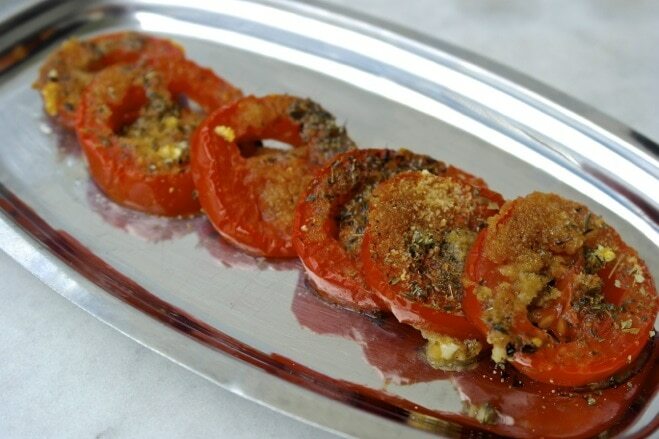 It uses the basics of Greek cuisine: tomato, olive oil, dried oregano, garlic and some breadcrumbs. That’s it. 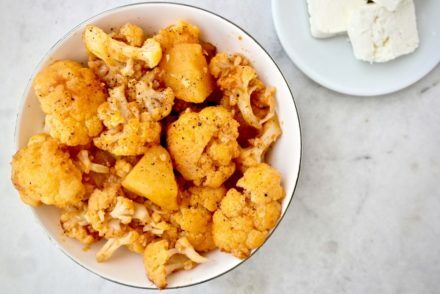 You can use it as a side dish to replace a salad or enjoy it as a light lunch along with some bread and cheese (I prefer feta), you can serve it on thinly sliced bread as an appetizer or even mix it with pasta. To me it tastes like pizza sauce! I don’t think I need to say how healthy this is, but here is a reminder: all the ingredients are super sources of antioxidants. 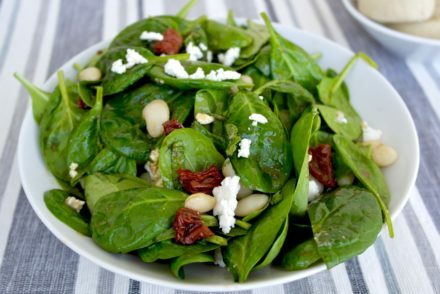 The dish is low calorie, you are getting fiber and good fats. I also used breadcrumbs from Cretan barley rusks, which add some additional fiber. If you cannot find these rusk, whole wheat breadcrumbs are a good substitute. 1. Preheat oven at 400 degrees Fahrenheit (200 degrees Celsius). 2. Place the slices tomatoes on a pan. 3. Drizzle some olive oil about 2 tablespoons. 4. Sprinkle on top the minced garlic, oregano and breadcrumbs. 5. Drizzle about 1 more tablespoons of olive oil. Add salt and pepper to taste. 6. Bake for about 20 minutes. This looks fantastic! I think I will be making it for the rest of the summer…. Thanks Ryl, and the kids loved it!